Quincy, MA (July 5, 2018) – A bicyclist in Quincy, Massachusetts suffered serious injuries after being struck by a hit and run driver on July 4th. The collision occurred on Whitwell and Deldorf Streets around 8:20 pm Wednesday. The bicyclist is identified by police as a 61 year old man. He was struck by a vehicle operated by 39 year old Paul Mignosa of Quincy. Mignosa fled the scene after the collision but was located by police a short distance away. He was charged with hit and run, negligent operation of a motor vehicle and OUI causing serious injury. Mignosa was arrested and taken into police custody. The 61 year old bicyclist, whose name was not released, was transported to a hospital with serious head and leg injuries according to Quincy police. No further word on the man’s condition is available as of Thursday evening. This crash illustrates the worst case scenario for a bicyclist. A hit and run crash with serious injuries is one of the most reckless actions that a driver could take towards another person. We hope that the injured man in this crash has a quick and full recovery from his injuries. 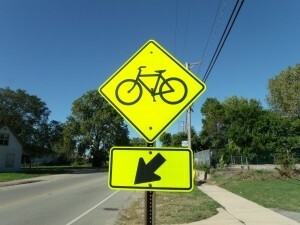 A bicycle accident can be devastating to the victims. In a large city such as Boston, there are many bicyclists out and about daily. Police are accustomed to calls involving bicycle accidents and injuries. If a bicyclist is injured in a crash with a vehicle, it is first important to determine who is at fault, or negligent in the collision. If the vehicle operator was negligent, for example by failing to yield, the bicyclist may recover from the driver’s insurance policy. In this case, it remains unclear who was at fault for the accident. Subsequent police investigation, including statements of those involved as well as observations of any witnesses at the scene will be crucial in determining who was responsible for the accident and, ultimately, whether the bicyclist may look to the driver for compensation for his injuries.